Guidelines for warning strategies have been developed as part of the OPTI ALERT project. These should improve the perception and observance of warning notices. Concepts for the use of various warning channels (multi channel) and for making warning information more personal have been developed. These concepts also take the socio-cultural background of the receivers into consideration. Warning systems should also be able to be adjusted by the users independently and on an ad-hoc basis in accordance with changing conditions. Thanks to the adaptability of the warning systems, the competent authorities will be able to re-evaluate warning processes and procedures and to improve the effect and range of warnings. A demonstrator developed during the project should also support the internationalization of warning strategies in cross-border emergency situations. The project was co-financed by the European Commission and involved partners from six European countries and incorporated the knowledge of sociologists, media scholars, IT specialists, meteorologists and disaster management experts. 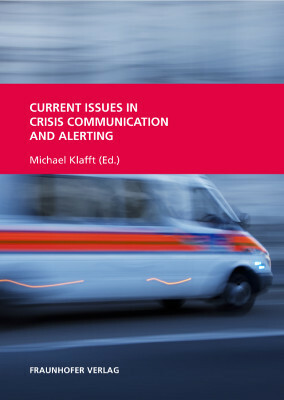 Book: "Current issues in crisis communication and alerting"